2011 was the year Atlassian satisfied more than 2,235 of our customers’ votes for new features and improvements with three of our biggest releases, ever. 2011 was the year Atlassian took Confluence to the cloud with our new OnDemand platform, made it even more affordable for small teams, and started to get you new features, faster. 2011 was the year a new era in content collaboration was born. Taking a page out of Ken’s book, here’s my pick of the starting XI of 2011 for the Confluence Family. Suitably, this position is filled by the brand-new editor that shipped in Confluence 4.0. On-top of a brilliantly simple design, it’s packed full of rich editing features that make it lightning fast and able to satisfy two of your top 10 most voted feature requests – Merge Table Cells and Copy and Paste Images. Any winning team needs a strong defensive line. In 2011 Atlassian built and improved upon four rock-solid pillars to ensure Confluence continues to thrive in 2012. Connecting Confluence to an external user directory used to be painful, whether it was Active Directory, other LDAP servers or Atlassian Crowd. You had to edit XML files, and the configuration options were limited. 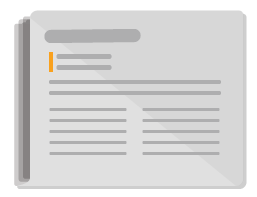 Confluence 3.5 brought a simple, powerful , and flexible directory management interface and support for nested groups, another top 10 most voted for feature request. Confluence is great for collaboratively defining specs. 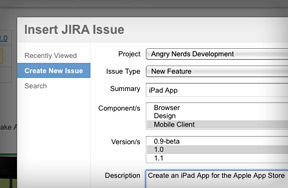 Jira‘s perfect for tracking the tasks that need to be completed to make those specs a reality. In Confluence 3.5 Atlassian made it easy to link the specs you develop in Confluence to the actionable issues you track in Jira, without leaving the editor. 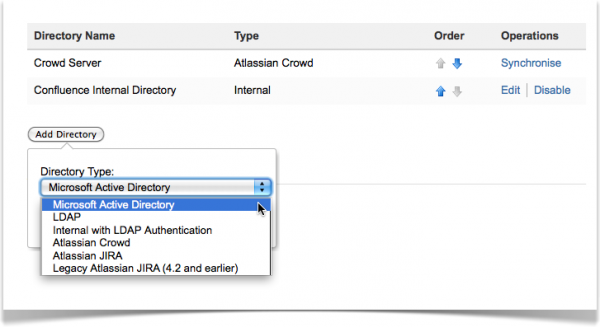 Since more than half of Confluence customers also use Jira Atlassian wanted to reduce complexity with your setup and give your users one username and password for both applications. With the release of Confluence 3.5 and Jira 4.3 you can now manage all your users in one place by allowing you to delegate Confluence User Management to Jira. With new releases coming frequent and often Atlassian wanted to help you get new features to your users, faster. Much to the delight of any sysadmins that are looking after Confluence, Confluence 4.0 brought with it new guided installers for Windows and Linux. Confluence 4.0 was designed to allow for constant innovation and improvement. Atlassian worked closely with our amazing partners to make sure they can take advantage of the power of the new editor. The latest version of Gliffy is an excellent example of how plugin developers can deliver a more powerful and most importanlty, intuitive user experience in Confluence. Soccer is a team sport. It’s ultimately a collaboration amongst players that leads to a result. Midfield starts the plays. They facilitate the collaboration that helps win games. In 2011, Atlassian added 3 new features to help users share and discover the rich content they create to foster collaboration and achieve better results. 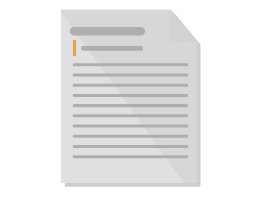 Tired of copying and pasting Confluence links into emails? Atlassian was too, so in Confluence 3.5 they added a ‘Share’ button to every page and blog post. Then in Confluence 4.1 Atlassian gave you a simple keyboard shortcut – ‘S’ – so you can bring right people into the discussions and projects that are taking place in Confluence without picking up your mouse. Have you ever forgot to watch a page that you’ve created, edited, or commented on? Autowatch ensures you are always kept in the loop by automatically watching any pages or blogs posts that you contribute to. You’ll never miss another play again. 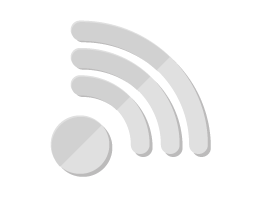 @mentions are a great way to notify other users about content and conversations they should be involved in. Best of all, they work just like Twitter and Facebook. 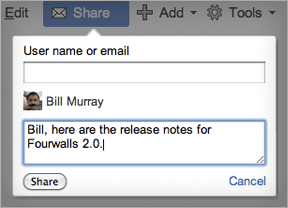 When mentioned, users receive an email notification so they can jump right into Confluence and start contributing. There are some features that are game-changers. They kick goals and win games. That’s how I like to think of these three features Atlassian gave you in 2011. With the new editor in Confluence 4.0, came more power and speed thanks to Autoformatting. Type wiki markup and watch Confluence convert it to rich text, on the fly. 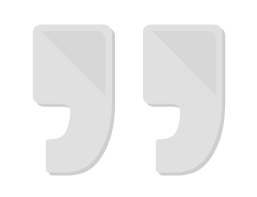 Bold, italics, strike-through, underline, headings, lists, emoticons, tables – it all works. Creating content that looks good has never been this easy. Click an image and choose from a set of professional effects. That’s it. Whether it’s screenshots in your release notes or snaps from your company’s holiday party, Image Effects makes everyone look like an editing pro. 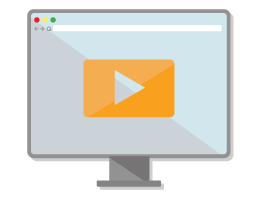 Autoconvert takes the links you paste into the editor – Confluence pages, Jira issues, YouTube videos, Skitch images, Flickr photo streams, and Vimeo videos – and transforms them into the dynamic content you desire. Autoconvert will save you valuable time everyday, helping you get things done, faster. There when you need them, your substitutes can fill the holes that pop up during play and change the game. They add the extra flare that’s sometimes needed to win. 2011 was a year Atlassian saw some incredible add-ons – new and old – jump off the bench and shine. In June, at our third annual Atlassian Summit Atlassian revealed a brand-new add-on for Confluence – Team Calendars – where people, projects, and content meet. Since then Atlassian’s given you a new Team Calendar release, 30 days or less…guaranteed. 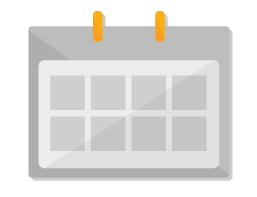 Our two most recent releases delivered the new features you’ve been asking for – now you can share your custom date fields from Jira and add multiple people to a People Calendar event. That’s right, just last week Atlassian released version 1.5 of the SharePoint Connector. Compatible with Confluence 4.0, the SharePoint Connector takes full advantage of the new Confluence editor to make SharePoint integration easier to discover and use. Also revealed at Summit 2011, Atlassian University is an online training tool that teaches your company how to use Confluence through videos and step-by-step interactive tutorials. With over 40 self-paced classes, it’s the fastest and most intuitive path to becoming a master of Confluence. There’s no doubt it’s been a big year for Confluence, our biggest yet. Atlassian has an awesome team that continues to grow and execute. Thank you to our customers, new and old, and the extended Confluence community – users, experts, and plugin developers. Happy Holidays and safe New Year from the Confluence Team.